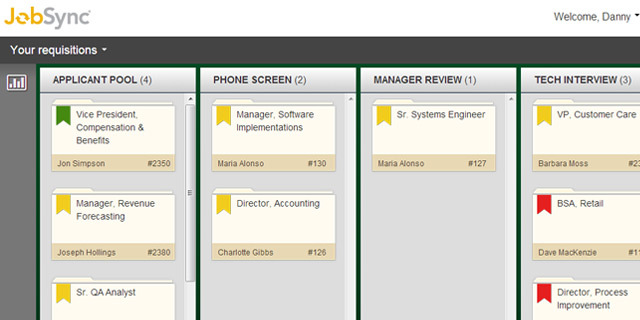 Each recruiter starts with a simple dashboard showing all of their open requisitions, sorted by status. Virtually everything about JobSync is configurable, so this dashboard will be mapped to your existing candidate workflow, making it intuitive to use right out of the gate for the recruiting team. Within each requisition, changing the status of a candidate is simple: just drag them to a new column. To disposition a candidate, just drag them to the recycle bin. Within seconds, JobSync will make the status change within your ATS, so your current ATS remains the system of record. Recruiters can send candidates for a hiring manager to review with one click. 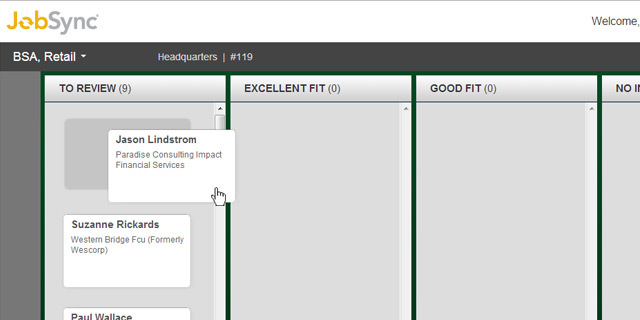 The manager receives an email link to a simplified version of the interface, where they are only allowed to review candidates sent to them by the recruiter for that requisition. With drag and drop, it's a snap. We'll configure a metrics dashboard with your top metrics that you can access with a single click. 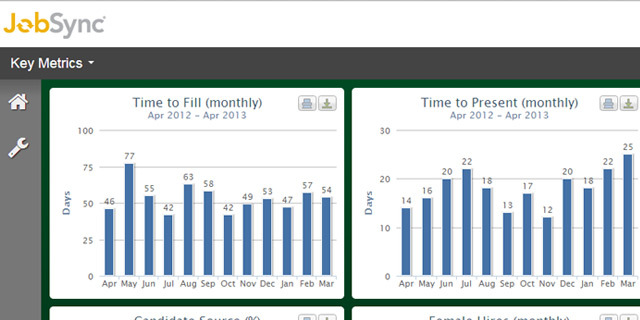 JobSync calculates metrics in real-time, so there's no lag in the data. We can also create custom reports like weekly updates and EEO/OFCCP reports, to save your team valuable time. JobSync's patent-pending technology is designed to make your ATS the efficient, user-friendly platform you always wanted. 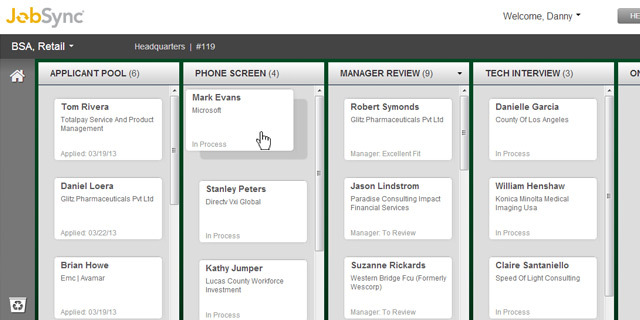 JobSync seamlessly integrates with your existing ATS, making it better while keeping it as your system of record.